Considering how easy and convenient Photoshop has become, even for the average computer user, it's nearly impossible to tell whether a photo is authentic, or if it's had some "improvements." Luckily, there's a free online tool that can help you sniff out the real from the fake. It's called FotoForensic, and here's how it works. Let's start with an unmodified photo. 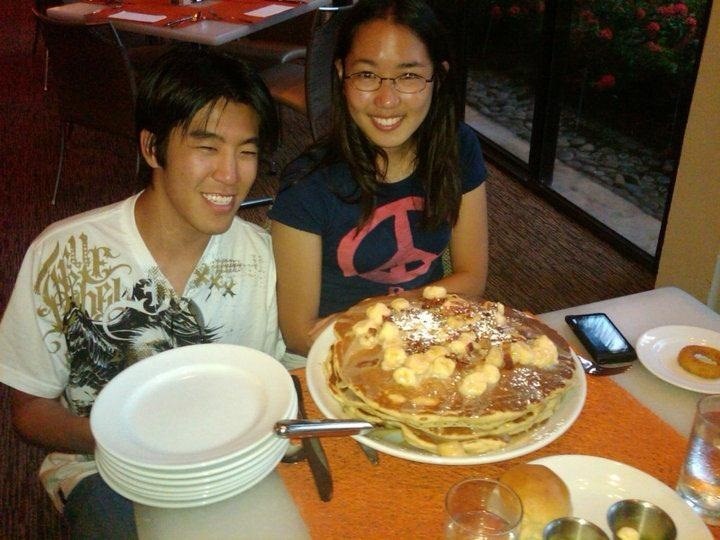 Here is a shot of myself, my girlfriend, and a very large pancake. After running it through FotoForensic, we get the photo to the right. This is an Error Level Analysis (ELA). 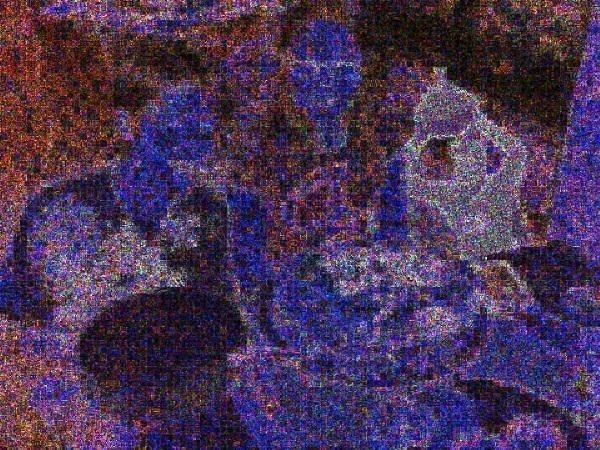 It is identifying areas in the photo that are at different compression levels. When an image is saved or re-saved, the ELA should change at a fairly consistent rate. What this means is the colors you see in the picture to the right should be at roughly the same color range. 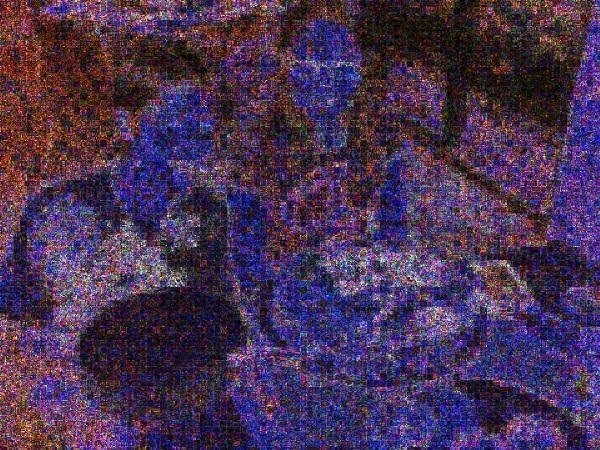 The high-contrast areas in the photo are the only deviation, but you can tell by looking at the original image what these correspond to. Here is another photo of myself, my girlfriend, a very large pancake, and a very small Batman Photoshopped in. Notice here the white outline around the caped crusader? What's happened here is that because Batman was added after the fact, he didn't go through the same number of compressions as the original image. Thus, his ELA level is noticeably different than the rest of the image. His own ELA values are very consistent though, making it obvious that he is an entirely different image that has been superimposed. Give it a try yourself. Larger images (the original if you have access to them would be best) will produce better results, and it will take a little while to pick out the differences in better Photoshopped images. But with some practice, analyzing the ELA values is a great way to check for sneaky Photoshops. Want to do some more photo forensics? See what metadata is lurking in your photos—and how to remove it! With FotoForensics, would it theoretically not work if the image you're using is a screenshot of an image? Hiya, I have just tried one original photo and one photo shopped picture, to be analyzed, to which I found no apparent difference ! Both photos suggested they were authentic, but I know one is photo shopped ! Confused ?